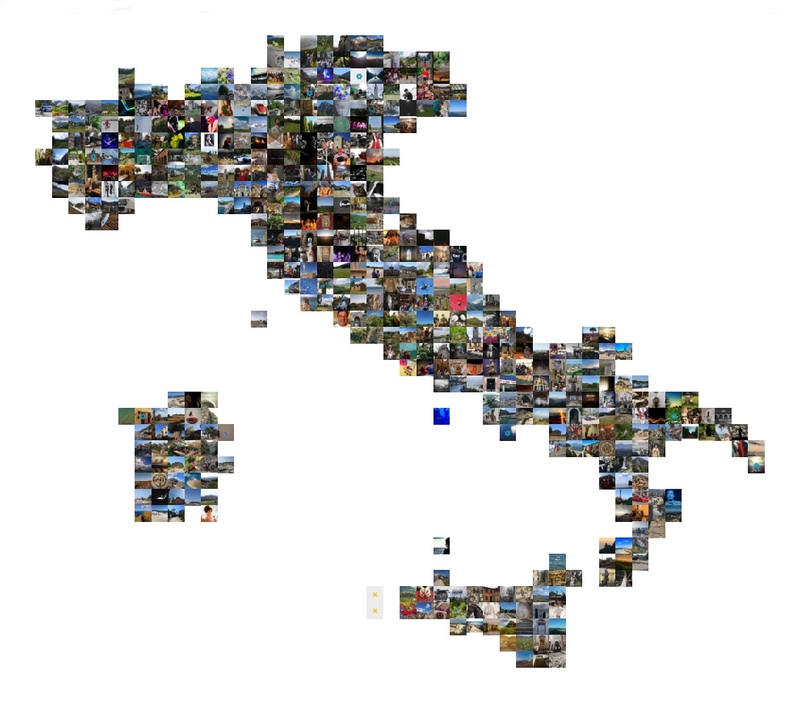 An ever-changing map of photos; Takes the map of a city, region or country, and, within its boundaries, one-by-one, puts photos in the places they were taken, slowly recreating the map with photos, each photo representing the location it covers, on the map. After a first pass, fully creating the map, pictures are slowly replaced with newer photos. Then, I took it one step further, dynamic picture maps on a particular subject. A map of England made of pictures of beer, France in baguettes, both with mixed results. The Netherlands in orange worked better, though. As did England in soccer and Italy in food. But the US in black or white is only a mild success.